There is an ongoing debate about the preservation of ghost signs, which has cropped up here from time to time. 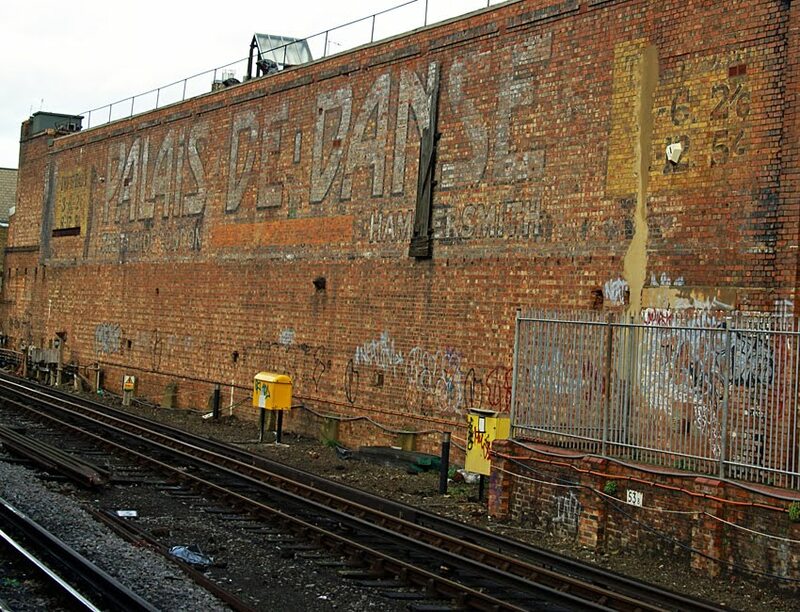 It has particular poignancy at the moment, because the Hammersmith Palais has just been demolished - and with it, a large and rather lovely sign. Sam of Ghost Signs pays tribute here. The debate centres around two issues. 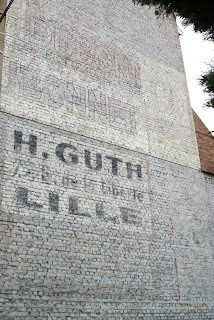 First, should ghost signs have some kind of protection such as listing? As far as I know, only one sign has been given this kind of status: the Hovis advert in Camden Passage, Islington. Another sort of protection is that offered by relocation to a museum: the Black Country Living Museum has several signs. Unprotected, signs can be demolished or suffer lesser indignities such as being painted over or having windows inserted. 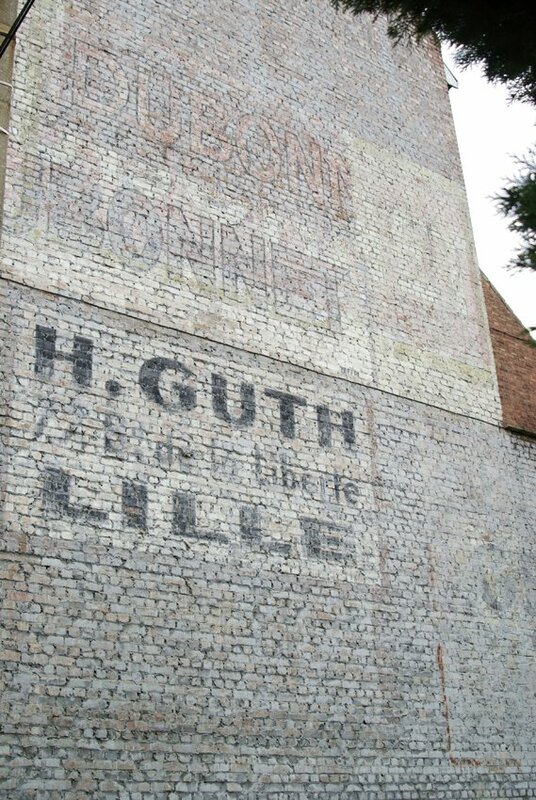 Secondly, should ghost signs be restored? In other words, is their appeal partly thanks to their fading appearance, the equivalent of patina in antique furniture? 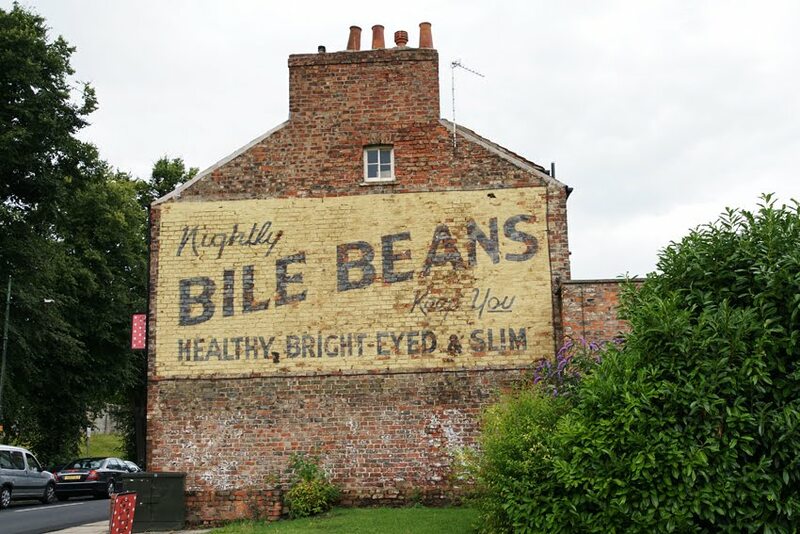 Or should they be brightened up so that we can experience the original effect, in all its colourful glory, as with York's Bile Beans sign? Is there even an argument for more extreme measures? 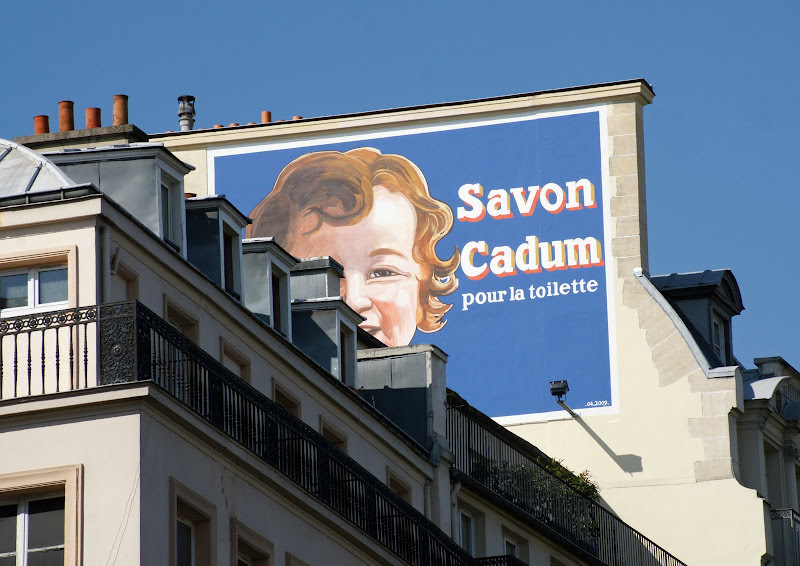 One Cadum soap sign in Paris was missed so much that a replica was eventually painted to replace it. Losing a sign is always a shame, especially when it's as good as the Hammersmith Palais one. However, they do survive in one important location: the Ghost Signs Archive at the History of Advertising Trust. We also need to ask whether part of their appeal is their ephemerality. Fading, unevenness, incongruous additions, a little mystery when words are obscured: are these all part of their charm? I'm not even sure what my own view is. I do prefer originals to restorations, but I waver over protection orders. I'd love to hear your opinions. I don't think there should be preservation orders on these wall ads, but I do think it would be agood idea to keep a photographic record, and the HAT charity seems to be the ideal place to archive them - they are already doing a splendid job. Old picture postcards of our town show many old signs - and buildings - that have long since disappeared. I do find myself scrutinising old postcards for the signs now. Sometimes it really pays off, too: I managed to narrow down the date of a Bridgwater ghost sign thanks to a pair of postcards a few years apart. I remain largely agnostic on both topics despite each eliciting much stronger reactions from other enthusiasts. If people can be bothered to go through the various steps to earn legal protection then all power to them. 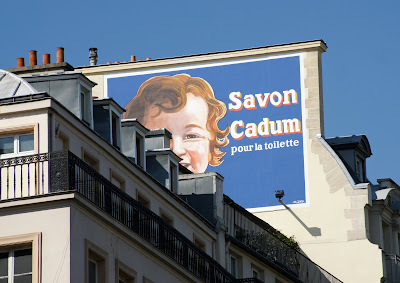 Likewise, there is something interesting about the repainting of signs, seeing them as they would have looked new, or repainted as they would have been to keep them fresh back in the day. For me though, the most fascinating thing is their existing longevity and survival against the odds. Thanks Sam, I've updated the link.